1) Obama has ordered a “full review” of the Russian hacking allegations, and a report is due to come out before January 20. 2) Members of Congress can still dispute electoral votes on January 6, and doing so would halt the certification of Trump’s presidency until the disputes are resolved. It’s important to note that it isn’t necessary for them to make an ironclad case that will prevail in Congress and the courts and overturn the election. It’s necessary only that they make enough of a case to slow down Trump’s certification process for a number of weeks. This would allow Paul Ryan to sneak into the presidency and stage the war crisis with Russia. 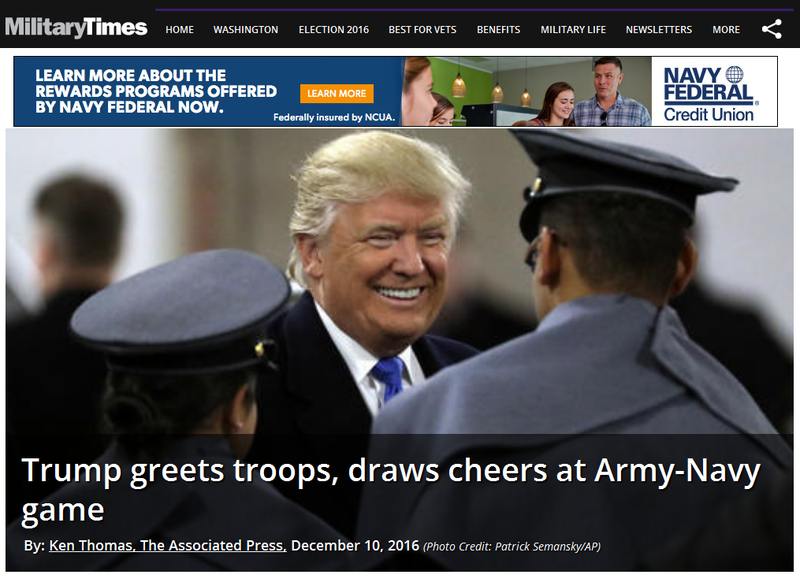 Sadly, even if the globalists cancel the coup and Trump is sworn in on January 20, we still might see a war crisis. They have been laying down preparatory propaganda for a Trump confrontation with China over their activities in the South China Sea. Such a Trump vs. Xi conflict would perfectly position Putin to play the peacemaker between the two, thus setting him up for his ascension to leadership of the coming “reformed” UN. I’ll write more on this if the coup falls flat. What are the globalists planning to do at the Electoral College? Originally, they planned to use Jill Stein’s recounts to delay the certifications of Michigan, Pennsylvania, and Wisconsin’s electors past the December 13 deadline. This would have either stopped their votes or made them legally disputable, which in turn would have lowered the number of faithless electors required to change the result of the election or hang the Electoral College. “Faithless electors” are electors who are pledged to a candidate by the popular vote in their state, but who choose to vote for another candidate due to their lack of faith in the people’s choice. Had the globalists’ original plan succeeded, an election reversal would have required only 15 faithless Trump electors switching their votes to Hillary, and a hung electoral college – when no candidate gets enough votes to win – would have required only 14 faithless Trump electors voting for anyone else but Trump. It is no mere coincidence that they were trumpeting the exact number of faithless electors that Stein’s recount scenario would have required for disrupting the election. 2) It was only after Judge Diamond failed to order a Pennsylvania recount on Friday that the “secret CIA report” hit the press. By late Friday, both the Michigan and Pennsylvania recounts were essentially dead, and Wisconsin’s was nearing completion, so the globalists needed to create a public justification for more electors abandoning Trump. As to why they abandoned their recount scenario, I suspect it was to obscure Chabad-Lubavitch’s hand in orchestrating the whole drama. The Jewish judge who oversaw the Michigan recount case, Judge Mark Goldsmith, has a demonstrable tie to the Lubavitchers. And the Jewish judge who oversaw the Pennsylvania recount case, Judge Paul Diamond, grew up in Brooklyn, the nerve center of the Lubavitch movement. It appears that once the alt-media started sniffing around those connections (something the Lubavitchers trusted the mainstream press to never do), they backed off and kicked the ball over to the CIA. With their original strategy now abandoned, reversing the election result will require 38 faithless Trump electors to vote for Hillary, and hanging the electoral college will require 37 faithless Trump electors voting for anyone else. So in the time between now and the 19th, you’ll see the mainstream media slamming Trump over his Goldman Sachs / ExxonMobil cabinet picks and his denial of Russian intervention on his behalf. This will be done to convince the electorate that there are plausible reasons for dozens of electors to abandon him. For more background information on the Electoral College Coup, read The strategy behind Jill Stein’s recount effort. What specific objective are the globalists seeking by conducting the coup? They are aiming to create a temporary Paul Ryan presidency between Obama and Trump’s presidencies. When Congress unseals and counts the Electoral College votes on January 6, either a Hillary win or a hung vote will result in a firestorm of controversy in both the Congress and the courts, and settling the matter will take more than the two week period between the vote count and the January 20 inauguration day. Since Obama’s presidency (and Biden’s vice-presidency) will expire on January 20 and no replacements will yet be available, the presidency will temporarily fall to the Speaker of the House, Paul Ryan, until the election controversies are finally settled by either Congress and the courts or a US military counter-coup. A Ryan presidency was made necessary by Obama’s refusal to allow a full-on US vs. Russia war to develop in Syria. Ryan’s assignment is to ensure the war crisis takes place in order to provide the segue to the post-crisis New World Order. Trump will then be sworn in as President to assist Putin in “reforming” the UN and helping the NWO to gel. Why do the globalists want a US vs. Russia war crisis? 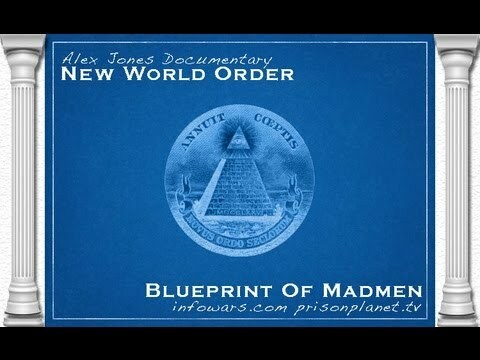 All this being said, you begin to see why the globalists need to push us to the brink of a West vs. East nuclear war in Syria: to so scare the populations of the P5 nations that they’ll gladly give up their UN veto powers “so something like this will never happen again.” And since Obama won’t allow the war crisis to climax and Trump’s role is to cooperate with Russia after it’s over, they need a brief Ryan presidency to make it happen. Rest assured that this coup has nothing to do with electing Hillary; she has absolutely no role in the BRICS-fronted, reformed UN-centered New World Order, and she knows it. 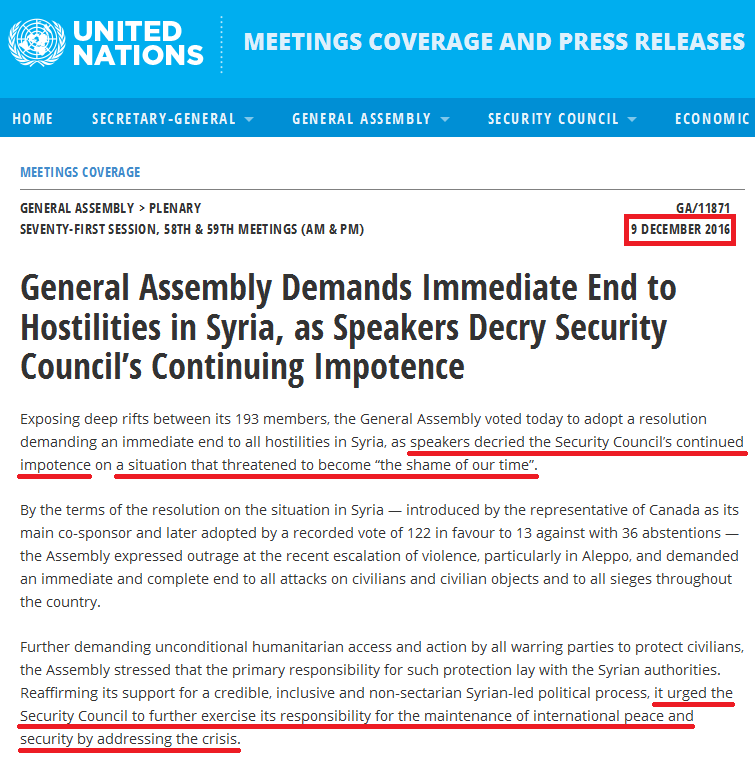 How does the “Syria conflict to UN reform” agenda fit in to the big picture globalist strategy? That’s how a problem / reaction / solution scam works when you’re using it to create a New Order for the entire planet: 1) you intentionally create an overwhelming number of terrible problems, 2) you make sure the public is fully aware of all those problems (by carpet-bombing their consciousness with mainstream and alternative media coverage of all the ills in the world), then 3) you present them with the solution to all their problems (the NWO). In that final phase, you don’t present them with something ugly and scary; you give them something attractive and inviting. And once they have accepted it and come to depend on it, you start tightening the screws again. 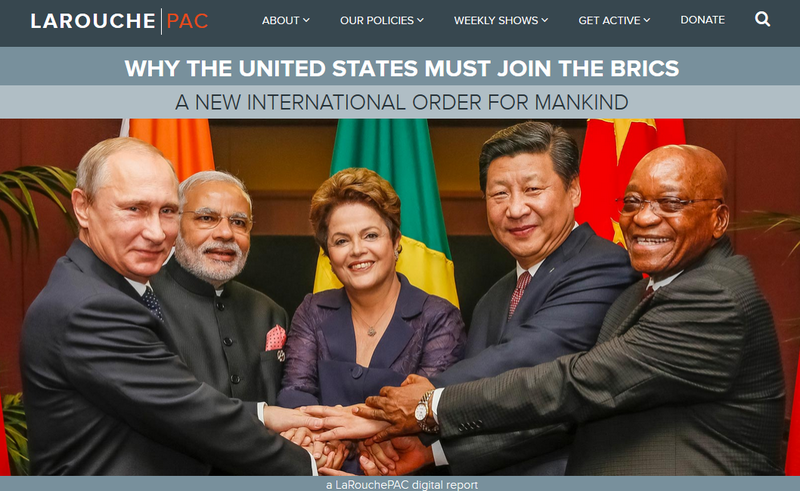 Since both the Western nations and the BRICS belong to the G20, which is the chrysalis of the multilateral/multipolar NWO, the seeming conflict between the two sides is being staged for public relations purposes. In actuality, both “sides” are fully on board with the globalist agenda. So if we look to the culmination of the Syria war crisis and the UN reform that will follow it, we see the transition point when the scary decoy NWO is defeated and the attractive real NWO rises. To better understand how the globalists are playing these “competing” NWOs against each other, read Understanding the NWO Strategy. How will the counter-coup unfold? the moment the war leads to a high threat of a nuclear exchange, thus stopping the war before nukes are employed by either side. This entry was posted in Globalist Agenda Watch 2016, NWO on December 12, 2016 by kenneth.